At Same Day Computer & Copier we’re proud to offer a wide selection of commercial grade products and services. Following are some of our services. 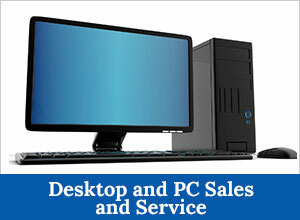 Whether you’re looking for a new computer system, maintenance or repair, we’ve got you covered. Computer Sales – When you or your company need a computer that’s just right for the job, we can help. We have certified professional technicians that can build anything your company needs. Network Service & Repair – When you’re having trouble with your network being down, or if your email isn’t working properly, or if you simply can’t get on the Internet, we’re here for you. Just give us a call and we’ll handle it. Network Design – No matter if you’re implementing your first computer network or updating or upgrading an existing network, Same Day Computer & Copier can make it a simple and worry-free process. Our ability to custom design your network or bring a sense of calm to your existing network is one of our greatest skills. You have certain expectations of what a stable network is, and we can help you realize those expectations. Cabling – Same Day Computer & Copier has expert technicians that can wire an entirely brand-new office or add additional ports to an existing network as needed. As soon as the cabling job is complete, Same Day Computer & Copier technicians will verify the security, safety and integrity of the network. Security – Your computer files and data always need to be protected. Your personal and client data is priceless and should be secure at all times. Basic to advanced security software is available, and with certified technicians working on your system you can’t go wrong. Maintenance – We provide maintenance contracts that furnish you with the services necessary to ensure that your systems continue to perform optimally. This service includes complete computer cleaning, replacing your power supply and chip fan as necessary, defragmenting your hard drive, scanning for viruses, cleaning floppy drive and CD-ROM heads as well as making upgrade recommendations as appropriate. At Same Day Computer & Copier, we strive to provide the highest quality commercial grade support, service and products. If you have any questions or are in need of any of the above services, please CONTACT US or call (707) 762-3884.